I wanted a picture of the moon setting over Lion’s Head on the way to work. But that’s hard to do when driving. 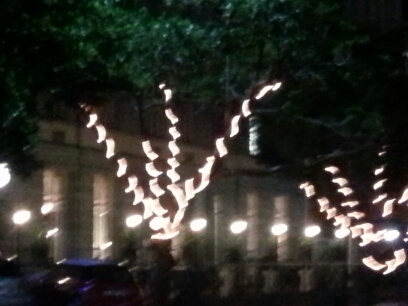 So I snapped the rope lights on the trees on Greenmarket Square instead.